Rooms here will provide you with a flat-screen TV, air conditioning and a minibar. There is also an electric kettle. Featuring a shower, private bathrooms also come with free toiletries. Extras include satellite channels. Rooms here will provide you with a seating area, flat-screen TV, air conditioning and a minibar. There is also an electric kettle. Featuring a shower, private bathrooms also come with free toiletries. Extras include satellite channels. It offers additional space. 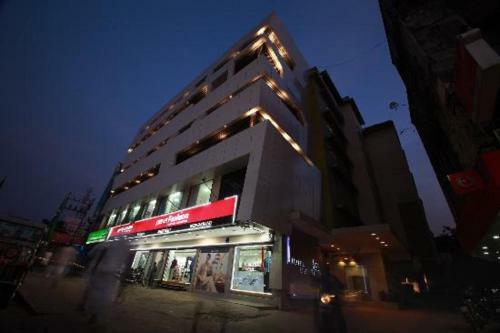 Offering a restaurant that serves Indian, Chinese, Continental and Italian cuisines, Hotel Asma Tower is located in Kozhikode. Free Wi-Fi access is available in the hotel rooms. Rooms here will provide you with a flat-screen TV, air conditioning and a minibar. There is also an electric kettle. Featuring a shower, private bathrooms also come with free toiletries. Extras include satellite channels. At Hotel Asma Tower you will find a 24-hour front desk. Other facilities offered include meeting facilities, a tour desk and luggage storage. Room service is available. The Calicut Beach is 2 km and the Kappad Beach is 16 km. The Calicut Bus Station is 100 metres. The Calicut Railway Station is 2 km while Calicut International Airport is 22 km away. Please note that the property requires a booking deposit of 100% of the booking amount via bank transfer on the day of booking. Staff will contact guests with payment instructions. Food. Ideal low budget hotel for a foodie. Good restaurant. Mutton biriyani is their speciality to try out. Comfortable hotel.... Very good staff.... And the food is very fresh and top class. Pure calicut class. Comfortable stay at affordale rate.